10. Please consider the opening hours of the reception and the gate service during your holiday: Gate service: open from 27 April to 30 September 0-24, 24/7, in this time pedestrian traffic is possible. The entrance gate is closed from 11 pm until 6 am, during this time the traffic of vehicles is only possible in justified cases. Locations for first aid: reception and gate. First aid kits are available at the first aid stations. Further medical services can be reached free of charge by telephone from the first aid locations. The telephone numbers of emergency services are displayed in a well visible way. 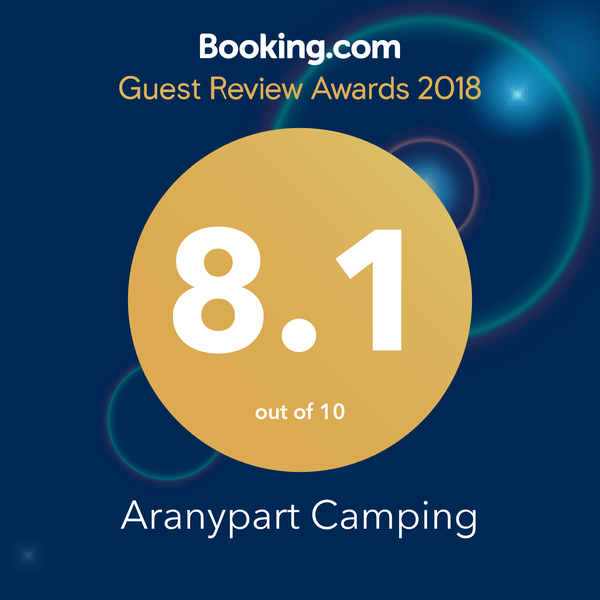 If you wish to complain about a service provided by the campsite or about the behaviour of other camping guests, you can do so personally at reception by entering your name in the customer’s book or by sending an e-mail to reservation@aranypart.hu. by observing the above rules.